Prior to World War II, German industry was controlled by an elite group who had used their money and influence to help bring the Nazi Party to power. After the Allies had successfully occupied Germany and removed the Third Reich, the process of reconstructing the devastated nation’s economy began under supervision of the US government. James Stewart Martin, who had assisted the Allied forces in targeting key areas of German industry for aerial bombardment, returned to Germany as the director of the Division for Investigation of Cartels and External Assets in American Military Government, a position he held until 1947. 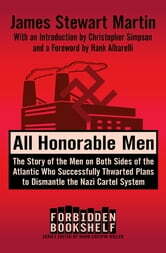 Martin was to break up the industrial machine these cartels controlled and investigate their ties to Wall Street. What he discovered was shocking. 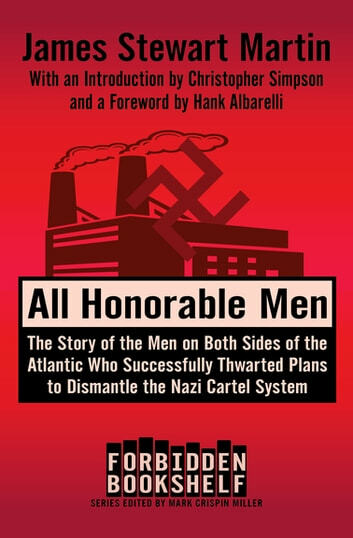 This exposé on economic warfare, Wall Street, and America’s military industrial complex includes a new introduction by Christopher Simpson, author of *Blowback:*America’s Recruitment of Nazis and Its Destructive Impact on Our Domestic and Foreign Policy, and a new foreword from investigative journalist Hank Albarelli.